Kiwifruit, the 67th most-valuable crop in California, had its heyday in the 70s and 80s, before production slowed somewhat, reported Reed Fujii in the Stockton Record. However, UC Cooperative Extension advisor Janine Hasey, says it appears to be growing in popularity once again. All of U.S. kiwifruit is grown in California. Hasey told the reporter that most kiwifruit come from Sutter, Yuba and Butte counties, as well as the southern San Joaquin Valley. Strong market demand and prices have prompted at least one major grower to expand. 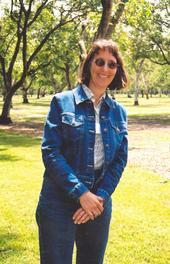 Janine Hasey, UCCE advisor in Sutter and Yuba counties, has helped revolutionize walnut pruning strategies. UC Cooperative Extension advisor Janine Hasey has helped revolutionize the way farmers prune their walnut trees, reported Tim Hearden in a lengthy feature story published in Capital Press. Hasey, a plant pathologist by training, conducts research and works with farmers on a wide variety of crops, plant systems and cultural methods in Sutter and Yuba counties. She called the results of the walnut pruning research "a real paradigm shift."